If you've been following me for a while now, you might know that I am a huge Hunger Games fan and that I created two looks last year inspired by Katniss - one inspired by her environment (forest, nature) and the other was inspired by her jewel dress and the quote, "The girl who was on fire". You can check those out HERE and HERE. Since the movie release is right around the corner and I am getting more and more excited, I decided to create another look inspired by the series. This time, I focused more on District 12 where Katniss and Peeta are from. District 12 is one of the poorest, most ridiculed districts in the nation of Panem. 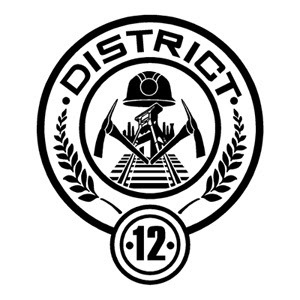 Located in the Appalachian Mountains, District 12 specializes in coal mining. 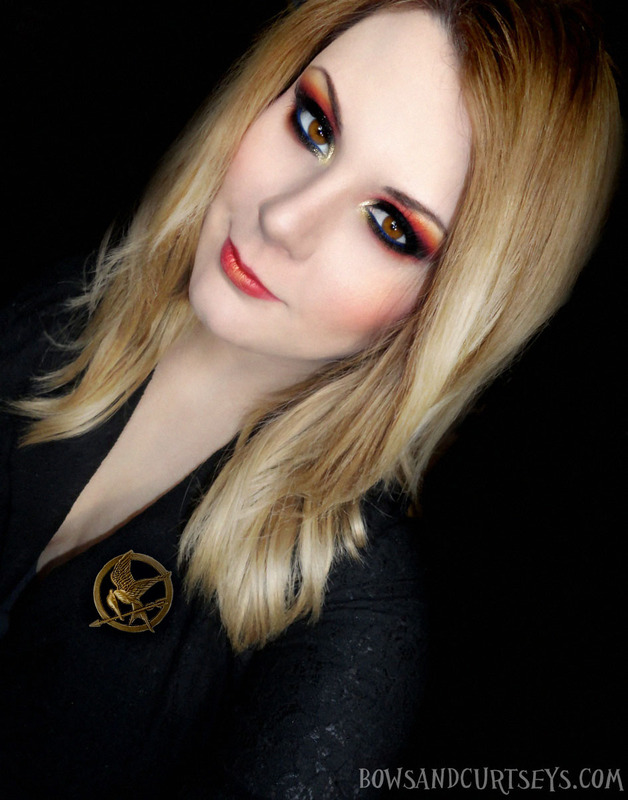 So I put together an intense, smokey and firey look to represent this district. I'm very pleased with the result and it's one of my favorite looks I've done in a while! I really hope you guys enjoy this look as much as I do! I think I'm going to wear this to the midnight premiere. I wish I had enough time to create a look for each of the districts, but that would be impossible...maybe someday soon! A couple of things I want to share with you guys: I am planning on doing video tutorials for the 2 previous Hunger Games looks I've done and I will try to get those filmed, edited and upload by the time the movie is out. Fingers crossed! Take care, and I'll see you all again soon! Aw mannnnnnnnn! I just did a post I love and you go and make a post with a look I love even more!!!! This is stunning girl, I absolutely adore what you've done. There's so much going on but it's so harmonious. I really need to take a page out of your book and try mixing more colors. Keep the district looks coming, I say!! You. Could. Replace. Cinna. Right. Away. WOW! This is awesome!!! I love it and you look beautiful!! Could you do a tutorial? Thanks! I hope you would do this. I have been seeing a lot of lackluster Hunger Games looks. And knew that if you did it, that you would rock it. And you so did! Perfect! I just started reading the book and just got to the part where her and Peeta arrive at Capitol City and they are wearing the flaming costumes. This totally reminds me of that! Great job Ronnie! damn this look is AWESOME!!! I really like the contrast that the blue liner in the tear ducts adds! You NEED to do video tutorials! Or at least step-by-step tutorials! This is stunning, and I would love, love, love to know how to recreate it. Amazing job. So perfect in every way!!! I love this! It's fantastic! The lipstick choices perfectly compliment your eyes. would you do video tutorial for this eye make up?? Can't wait for the video tutorials. I totally think you should go for a district theme of looks. <3 As always - stunning~! I love it. I love all of your colorful make-ups. Completely at a loss for words. AMAZING job! Beautiful! You can pull off the dark shadows very well. And where did you get that pin?!? sooooooo colourful yet dark with the black! love it! I adore this look! thank you!!!! I completely love the placement of the gold in this look. I know I have tried to use gold like this before but I've overblended it and it just makes a mess. This is stunning. Amazing ;) I love the hunger games as well. I'm going tonight. I may try this look ;) i love it.